There’s no doubt that one of the main reasons most of us take to the hills is to get away from it all. But just because we’re looking for a little escape doesn’t mean that we necessarily have to leave all of the luxuries of home behind when we go, and sometimes, a small touch of comfort goes a long way toward making a backpacking trip more enjoyable. If you’re ready to take some of the rough out of roughing it, here are a few items that can make your outdoor excursions just a little more comfortable. As someone who apparently has an uncommonly sized torso, it’s always been a struggle for me to find a backpack that actually fits the way a pack actually should. REI might not have designed the new Traverse 85 Pack specifically for my back, but that’s exactly what it felt like from the moment I strapped it on. Available for $279 at REI.com, the Traverse 85 is offered in either a medium or large size based on your hip and torso measurements. To ensure that the pack fits everyone as comfortably as possible, the height of the shoulder straps can also be easily adjusted to fit individual torso lengths and that the hip belt actually ends up on your hips where it’s supposed to be. Clearly the designers at REI understand that backpacking comfort begins and ends at the hips, which is where some of the best innovations of the Traverse are found. The hip belt is made from a 3D sculpted foam that hugs your waist tightly enough to keep the pack in place without binding or rubbing the way some hipbelts have a tendency to do. One of the coolest features of the Traverse, however, is the ActivMotion technology that allows that form-fitting hip belt to pivot independently of the rest of the pack and keeps the brunt of the weight centered, even when you’re twisting and maneuvering over obstacles or uneven terrain. To help keep that load even more stable, the Traverse 85 features REI’s UpLift compression straps that allow you to pull the bottom of the pack up onto your back and keep the weight from sagging down too low. The Traverse 85 also includes a ventilated back panel and padded mesh shoulder straps that disperse and absorb more of the pack’s weight. 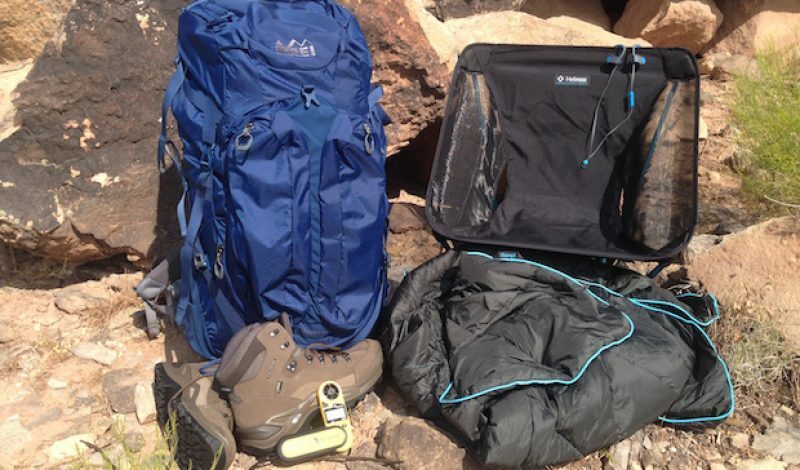 To make this kind of comfort accessible to as many people as possible, the Traverse is available in a variety of styles and sizes for both men and women, and while each one has slightly different features, you can bet that they’re all designed to include the kind of comfort that will remind you just how fun backpacking is supposed to be. For decades, LOWA’s assortment of handcrafted European boots have earned a reputation as some of the most comfortable and functional boots on the planet, but there’s a very good reason why the Renegade GTX is the company’s best-selling boot across the globe. From the moment you slide your foot into the Renegade GTX, you understand what a comfortable hiking boot is supposed to feel like. Handmade from Nubuck leather, the Renegade features a GORE-TEX lining that keeps your feet dry in damp conditions while still providing a surprising amount of breathability for a nearly all-leather boot. 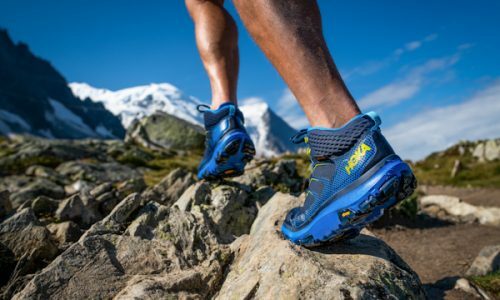 The Vibram Evo outsole creates more than enough traction to help you navigate almost any terrain, and the full-length nylon shank has the kind of stability required for long hikes without being too stiff to make everyday use impractical. The key to the Renegade’s comfort, however, is the combination of the DuraPU Monowrap midsole and climate control footbed that seems to hug your foot in a supportive embrace without being so restrictive that it prevents proper blood flow to your toes. My feet are very narrow with a virtually non-existent arch which means they are particularly prone to problems while hiking. But the Renegade provided the kind of support and comfort I didn’t think was possible in a hiking boot. At $230, the Renegade might not be the cheapest hiking boot you can find, but as anyone who has suffered through blisters on a backpacking trip will likely tell you, paying for comfort is infinitely better than paying for pain. There’s certainly no arguing with the kind of comfort the Renegade GTX provides. Nothing says comfort like a down blanket. There have been many times when I’ve been cold and tired and achy on a backpacking trip and thought longingly about that old comforter waiting for me on my bed back home, wishing I had it with me at that moment. The good people at Rumpl have found a way to provide that kind of comfort in a durable, washable – and most importantly, packable – option for any backpacker who has ever yearned for the coziness of a down comforter while trekking into the backcountry. The Rumpl Down Puffy ($199) features a weather-resistant 20D ripstop shell stuffed with 600 Fill sustainably-sourced down that’s just enough to take the nip out of chilly evenings in the mountains or provide some much needed cushion against the hard ground of a campsite. The Down Puffy measures an impressive 54” x 80”, but can compress into a 6” x 6” bundle that weighs 1.12 pounds, making it easy to slip it into a pack and take this little slice of heaven along on nearly any excursion. The blanket is even rugged enough to stand up to a serious amount of outdoor punishment, and because it’s stuffed with treated, quick-drying feathers, it’s also safe to throw in the washing machine when you get home. 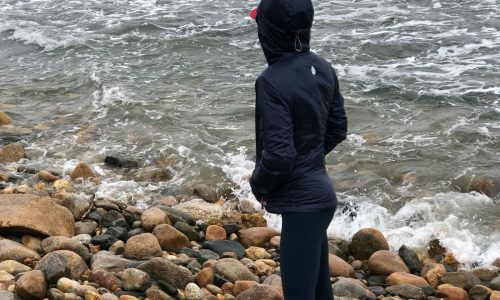 While the Down Puffy might seem like an unnecessary luxury to some die-hard hikers, one night cuddled up in its comfort might very well have even the most extreme of ounce-counters strongly reconsidering their priorities. Let’s face it, the ground isn’t the most comfortable place to relax after a long day on the trail, and a fallen log isn’t much better. For years, Helinox has been giving backpackers a solution to this dilemma with their incredibly light, yet impressively strong, camp chairs. With their new Ground Chair, however, Helinox shaved off more than 200g and nearly 2” from the widely popular Chair One, and effectively transformed the status of a backpacking chair from luxury to necessity. Available for $109 through Big Agnes, the Ground Chair might be one of the wisest long-term investments in backpacking comfort you can make. The chair tips the scales at a measly 615g (1.35lbs) and packs up into a bag roughly the size of a water bottle. The poles are made from high-strength aluminum and snap together as easily as a tent frame. The lightweight mesh cover slips over the poles, creating a chair that can hold up to 265 lbs. An added benefit of the Ground Chair is that by being closer to the ground, it’s much easier to stretch your legs out comfortably, lean back, and fold your hands behind your head in that classic backpacker pose that says “everything is right with the world.” And when you’re stretched out in the comfort of the Ground Chair in the middle of nowhere with the stars winking down at you, that’s exactly how you’ll feel. I’ve never been big on bringing technology into the backcountry. It always feels to me like a place where most of us go to escape the daily grind of the Internet, television, and social media. On the other hand, there is something undeniably comforting about having your favorite tunes whistling in your ears as you traverse through some of the most beautiful scenery on the planet. Whether it’s John Denver’s “Rocky Mountain High,” The Beatles “Let it Be” or even Marley’s “Three Little Birds,” the right music can go a long way toward transforming a special experience into an extraordinary one. Weighing in at a mere 24 grams, the Powerbeats2 Wireless Earbuds make this transformation not just practical on any backpacking trip, but absolutely effortless. The Powerbeats² ($199) were created specifically to be worn by athletes during intense training and competition, so there’s no worry about ruining them if you happen to be sweating profusely on a particularly tough section of the climb. They feature wrap-around earhooks that help keep them comfortably on your head no matter how rough the trail gets, and because they connect to your phone through Bluetooth, you don’t have to worry about any wires getting snagged on pack straps or low-hanging limbs. Where the Powerbeats2 truly shine, though, is in the quality of the music that they filter into your ears. It’s easy to find cheap earbuds, but when your goal is to use the power of music to enhance the experience, sound quality should be important. And that’s exactly what the Powerbeats2 deliver. Nothing can bring discomfort in the backcountry quicker than an unexpected storm. And while it’s often relatively easy to spot approaching thunderheads, with the Kestrel 3500 Weather Meter you don’t have to worry about relying on your astute powers of observation to keep you protected from the elements. From barometric pressure and trend indicators to relative humidity, wind speed, and altitude readings, the Kestrel 3500 gives you all the tools you need to predict approaching weather with the kind of precision that can make any meteorologist envious. The best news for backpackers, however, is all that power comes in a package that’s not much bigger than a pocketknife and weighs less than 2.3 ounces. Available at KestrelMeters.com for $194, the 3500 is completely waterproof and will even float if you happen to drop it into a river or lake. If you aren’t accustom to reading weather meters, it might take a little practice to be able to accurately interpret the wealth of data the 3500 provides, but with a little training, it can become the lightest and most accurate way to make sure you’re never left out in the storm again. And that piece of mind might just be the biggest bit of comfort you can bring on any excursion.